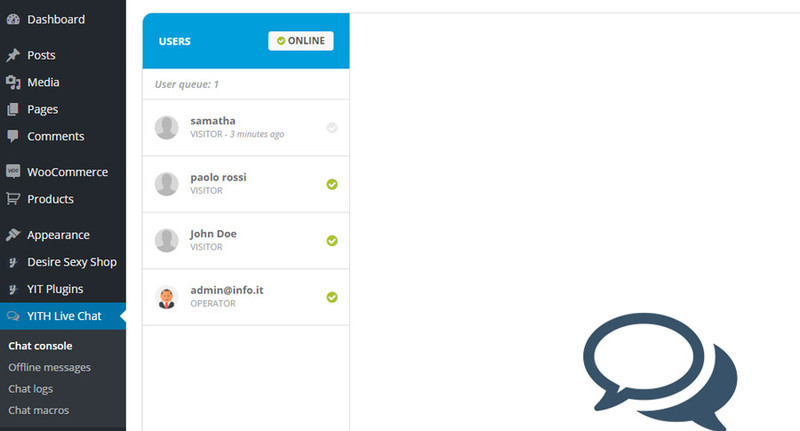 The console shows all currently active conversations on your site. If no operator is connected, the chat popup will not be shown to users. 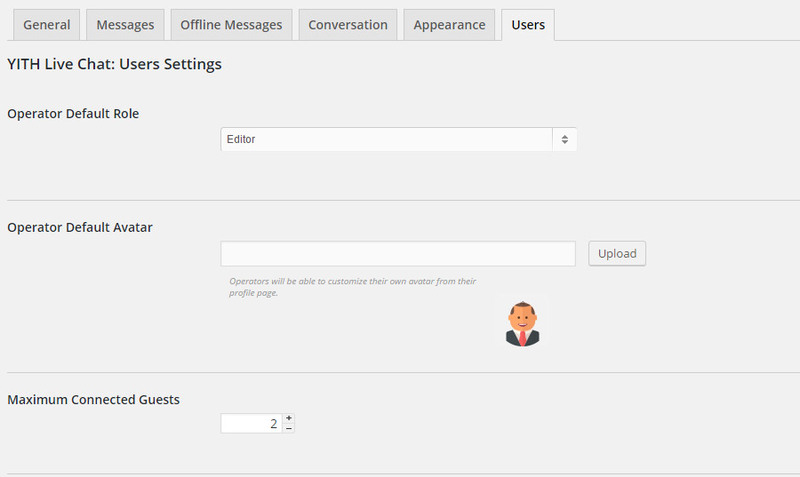 The maximum number of simultaneous conversations cna be set in the option “Maximum Connected Guests” in “Live Chat -> Users”. 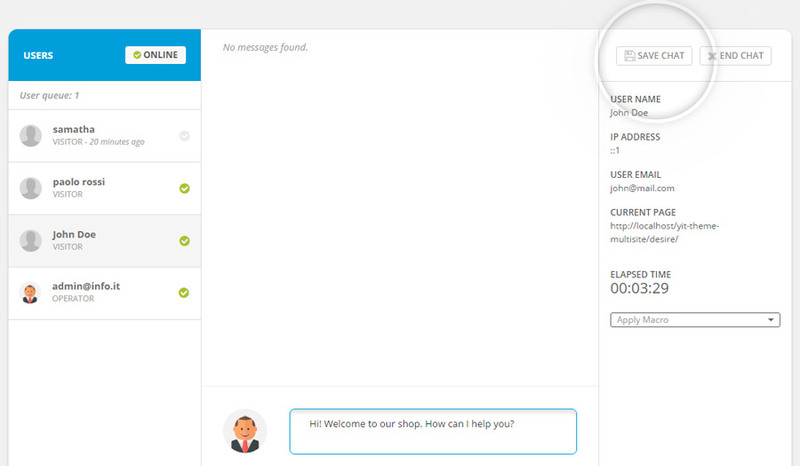 The chat operator can save the conversation with the “Save Chat” button: the content of the messages will be available in the “Chat Logs” section. Note: closing the browser will not end the conversation. Each chat conversation has to be closed using the “End chat” button, which ca ben done by one of the speakers.